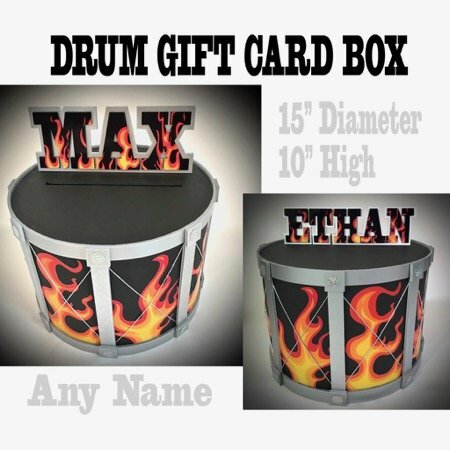 We make a fiery hot DRUM GIFT CARD BOX. Order one today! $95 plus $34/45 (east/west coast) shipping. and we'll send one out to you! 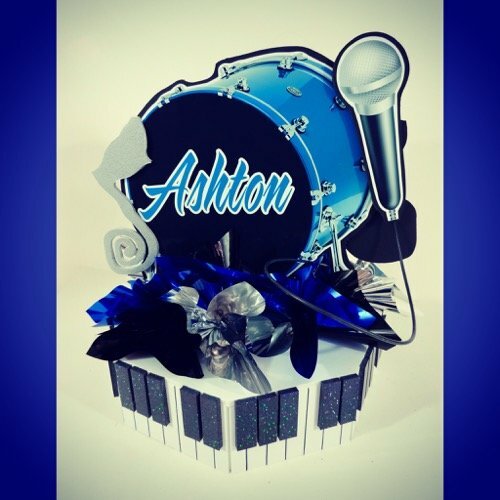 We can personalize centerpieces with a name, piano keyboard base, a microphone, musical notes and maybe even a photo cutout of the party person, a party logo, drum sticks or other musical instruments. The drum above was a flat foamcore image of a real drum. It wasn't 3D but did look like it. 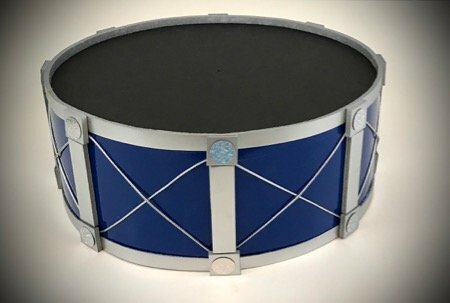 Below is an actual 3D drum we made as a base option. 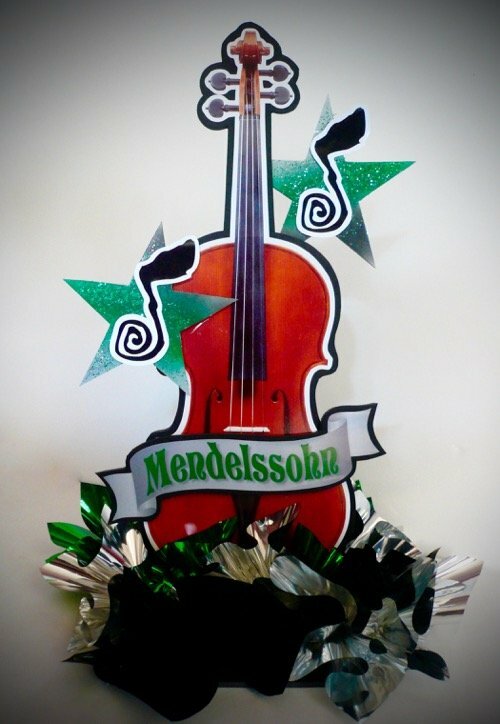 It could have a guitar on top, or drumsticks and a name or musical notes..etc. We can also cut a hole in the drum if you need that option. 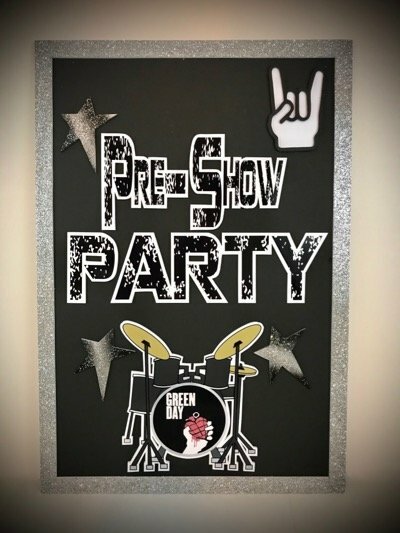 These pastel drum bases were for a baby shower. 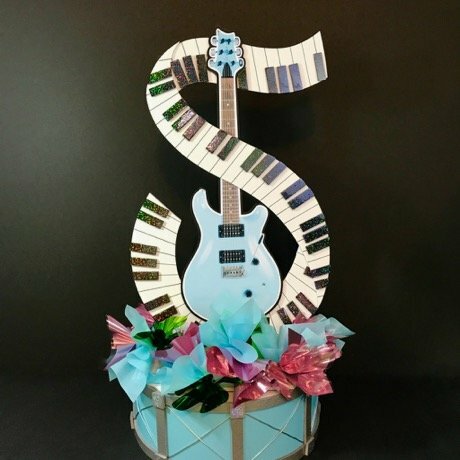 Add your own flowers or maybe a guitar or keyboard from us? So many ways to make drums. Here's one that can have any name on either side. 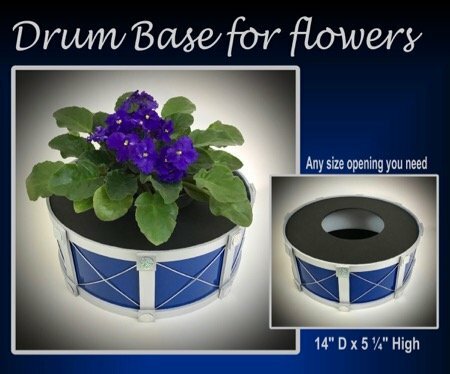 It can be centerpiece size or large for a wall decoration with a drum theme. 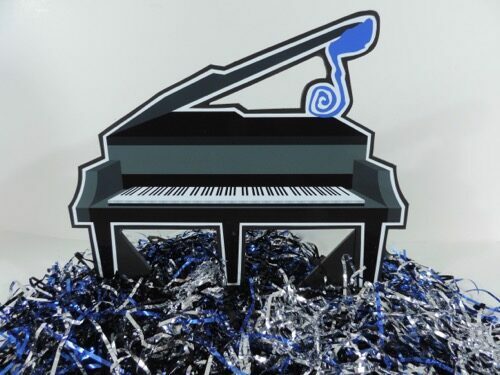 How about a centerpiece for the Placecard Table or Candle Lighting. 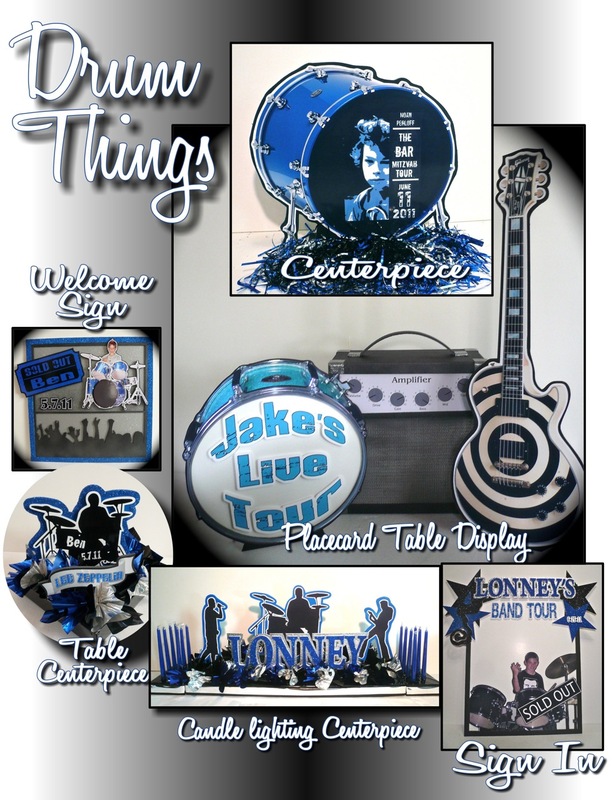 We can personalize it for you and add either shredded mylar or mylar poufs as shown in the above picture. 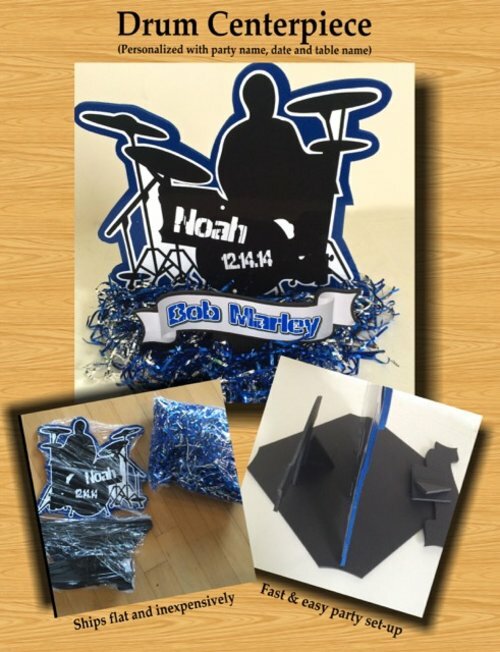 Our items can fold flat for shipping and are wrapped carefully in plastic. 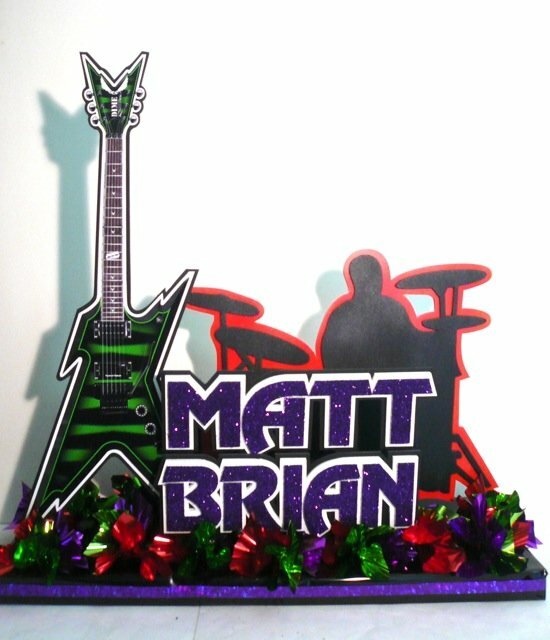 Maybe a WELCOME SIGN with a drum theme. More Welcome Signs can be viewed by clicking here. 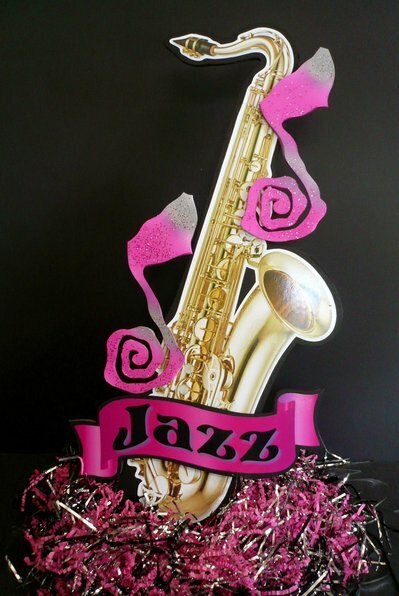 Do you need saxophones, trumpets or violins? We can do those also. We can do something elevated or something simple and low on the table. 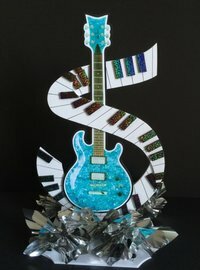 check out this drum pendant at a great price.